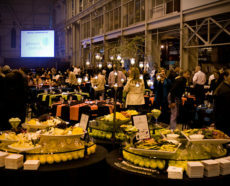 Back in August of 2016, we put a spotlight on some of Milwaukee’s top holiday party venues. 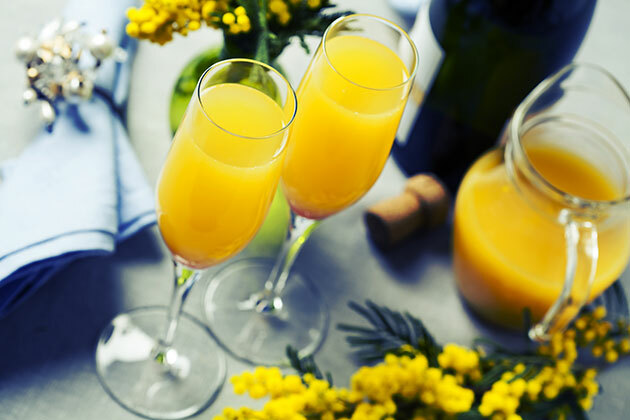 We paired spots all over the city and surrounding areas with some interesting party themes to help you find the perfect place to treat your team to a hopping holiday celebration. But why stop there? What does every themed holiday party need? A delicious signature cocktail, of course! 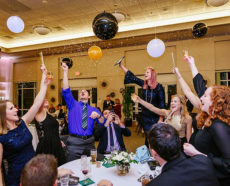 Here are seven sweet combinations for your Milwaukee holiday party—complete with a cocktail, theme and venue to make you swoon. Recipe: Cosmopolitan with a splash of ginger liqueur. Served on the rocks w/ a lemon twist. 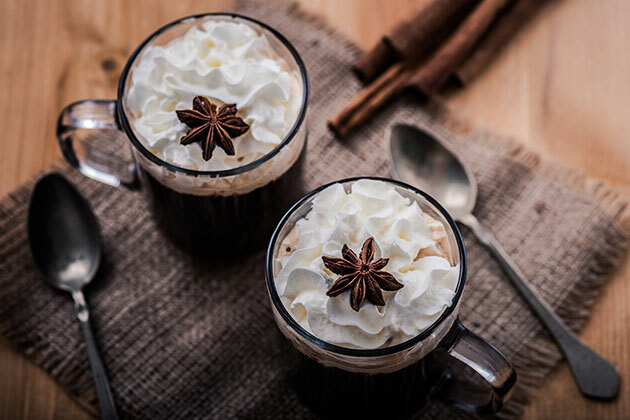 This first flavorful cocktail is sure to warm up the winter night. While you enjoy the ginger accents of this drink, the gigantic indoor garden at Boerner Botanical Gardens will be transformed into an actual winter wonderland with snowflakes, snowmen and snowcapped views as far as the eye can see. Glass icicles draped from the flowers and greenery are sure to capture the imagination. 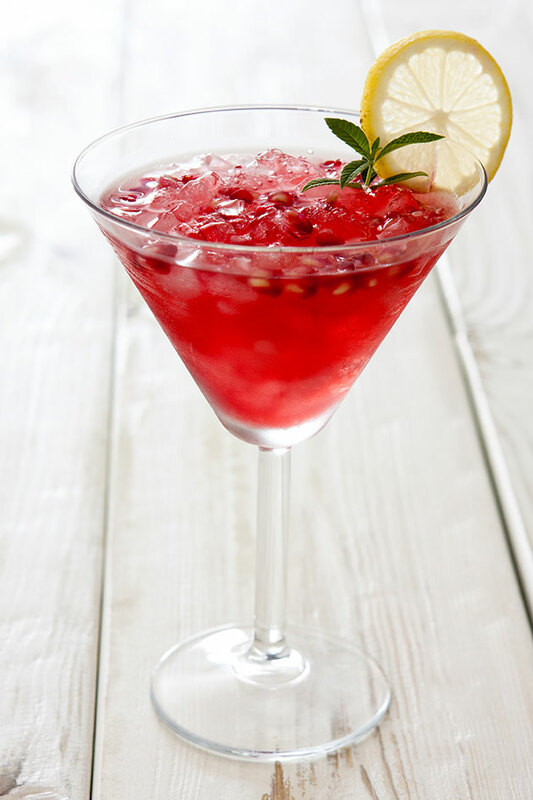 Recipe: Pomegranate liqueur, cognac, triple sec and fresh lime juice with a twist of lemon. Your team will enjoy this kick of lemon-lime flavor while taking in the aura of this refined modern restaurant overlooking the shores of Lake Michigan. This theme will see the space filled with colorful lights and a warm ambience. Altogether, a theme party at Coast is a one-of-a-kind dining experience. Recipe: Creamy chocolate liquor and white chocolate vodka. Served with whipped topping and cocoa powder. It’s a wonderful life and a wonderful cocktail! Jimmy Stewart would feel right at home sipping on this nostalgic, home-for-the-holidays-style drink while taking in the atmosphere at the Pritzlaff building. The classic Victorian windows, raw cream-colored bricks and exposed beams make it a setting pulled right out of a Christmas classic. It’s sure to make your team recall the fine holiday memories of yesteryear! 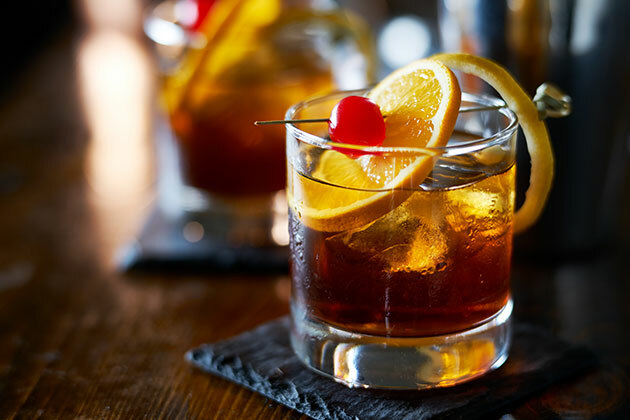 Recipe: A vintage old fashioned. Cherry, fresh orange slice, dash aged bitters, all muddled bourbon and soda. Served with a long stem cherry. Speaking of stepping back in time, this party theme and signature cocktail combo are sure to transport the hearts and minds of guests to the holiday charms of old. If a holiday twist on the classic old-fashioned isn’t enough, our planners take the natural rustic atmosphere of the Milwaukee Public Museum and give it a holiday charm with wintertime décor and elegant photobooths. It’ll feel like 19th-century Milwaukee all over again. Recipe: White chocolate liqueur, vanilla vodka and a splash of peppermint schnapps. 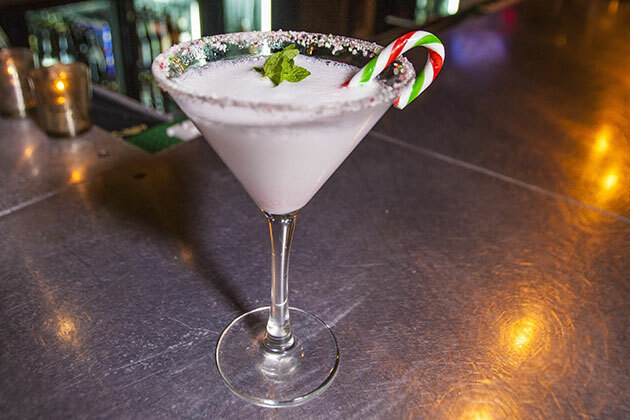 Served in a chilled crushed candy cane martini glass. It’s a cocktail and theme combination that will inspire your inner child. It’s a crisp mintiness to mirror the crispness of the winter air and mintiness of fantasy land that you’re about to enter. The domes of the Mitchell Park Conservatory become a natural and environmental wonder in the wintertime with their brightly colored lights and flowers. 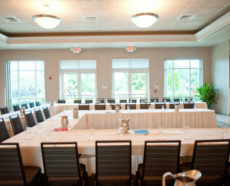 We’ll turn this one-of-a-kind venue into a land of sweets that includes interactive board games and gingerbread houses. 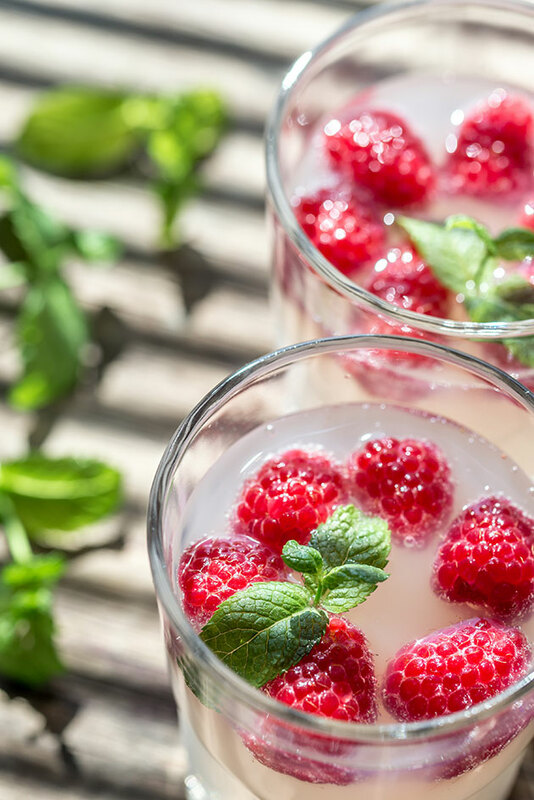 Recipe: Muddled raspberries, lemon sugar topped with citrus vodka, rose champagne and ginger ale. Served in a champagne flute with a raspberry garnish. This cocktail creates a delicious harmony of fruits and florals. It’s the perfect multiculturally influenced drink for this “Around the World” holiday party. And for such a celebration, we can think of no better place than the vast Oconomowoc Community Center. While you enjoy your drink, you can partake on the giant beautiful dance floor and learn of cuisine from all over the world. Recipe: Shake orange and elderflower liqueurs. 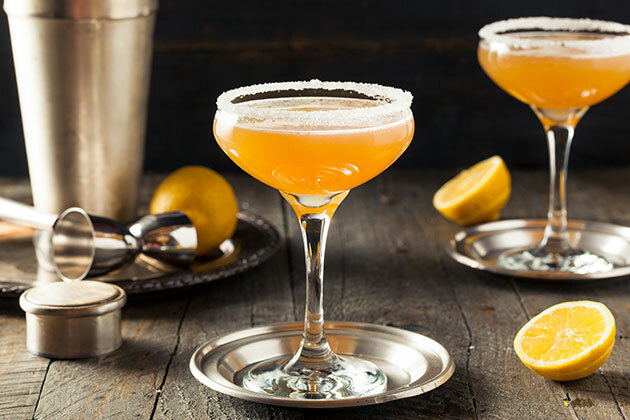 Served in a champagne flute topped with wheat beer and garnished with a lemon twist. A true piece of Milwaukee’s history, the Pabst Mansion deserves a signature cocktail worthy of its name. The orange and wheat flavors come together perfectly. The venue features turn-of-the-century artwork and refurbished elegance that makes it a highly demanded venue for holiday parties. A musical celebration that utilizes the “Music Room Display” (full of instruments dating back to the 1800s) is an ideal setting for your team to partake in some holiday karaoke. It’s easy to see how our expert planners’ imaginations run wild when given the chance to pair our signature drinks and venues together. We cherish the opportunity to turn your company holiday party into a once-in-a-lifetime experience that captures the spirit of the season. We hope that you look forward to celebrating this season just as much as we do. 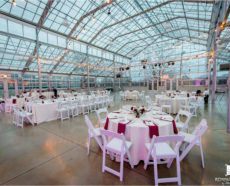 Contact us today and we can start piecing together your incredible holiday party at one of these (or other) fine venues!